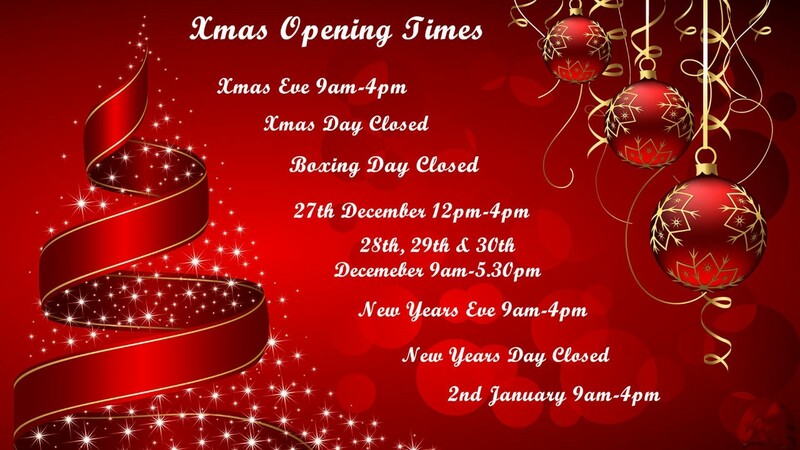 Please note our opening hours will be slightly different over the Christmas period. See below for full details. This entry was posted in Uncategorised on 10th December 2016 by admin.